4. Spoof website traced to the Philippines. 6. Spoof website not online at time of report - possibly it has been disabled.
" 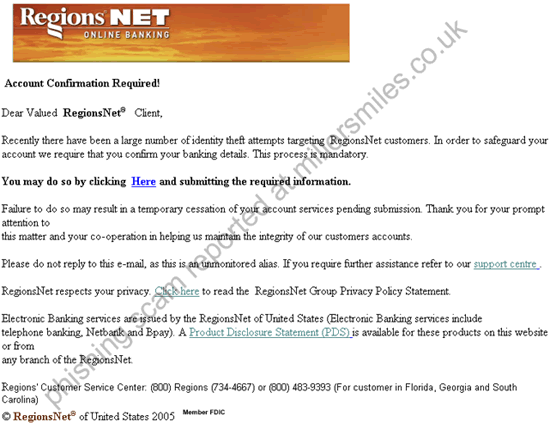 Recently there have been a large number of identity theft attempts targeting RegionsNet customers"